In this guide, I’ll explain how to perform IF, ELIF and ELSE in Python. Suppose that you want to determine whether a person is eligible for a senior discount. Now we’ll add another layer. Specifically, let’s say that you want to include another discount group – the ‘Junior Discount’ group – for people who are below the age of 18. 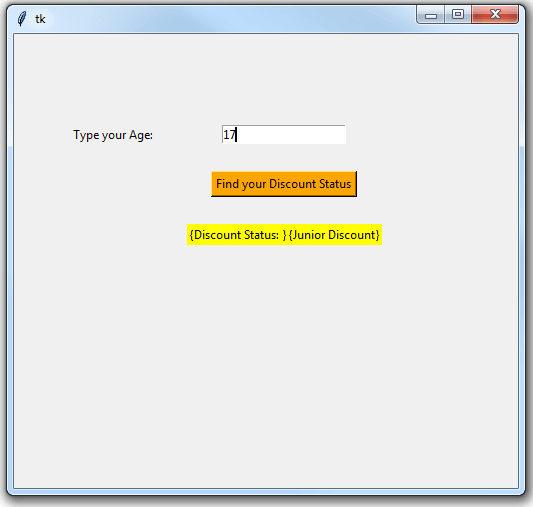 In the previous examples, we set the Age variable to a given value (e.g., Age = 27). But what if you want more flexibility to type any age, in order to determine the discount eligibility? 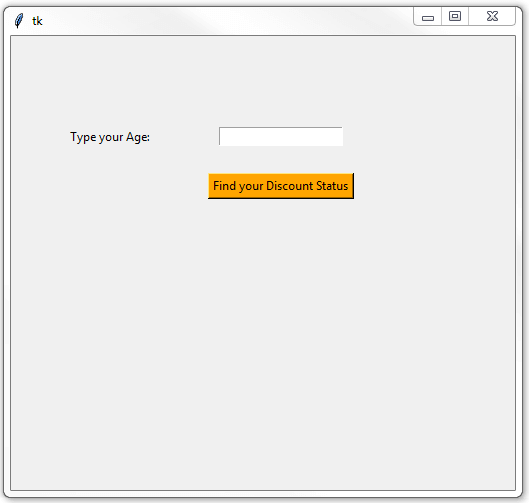 ELSE the person is not eligible for a Discount (in the case the person’s age is below 60). In the final section of this guide, I’ll share the code to create a tkinter GUI that will execute the IF conditions based on the value typed within the GUI.